The Forbidden Stitch. Why is it forbidden? The standard answer is that its so small and difficult to work. 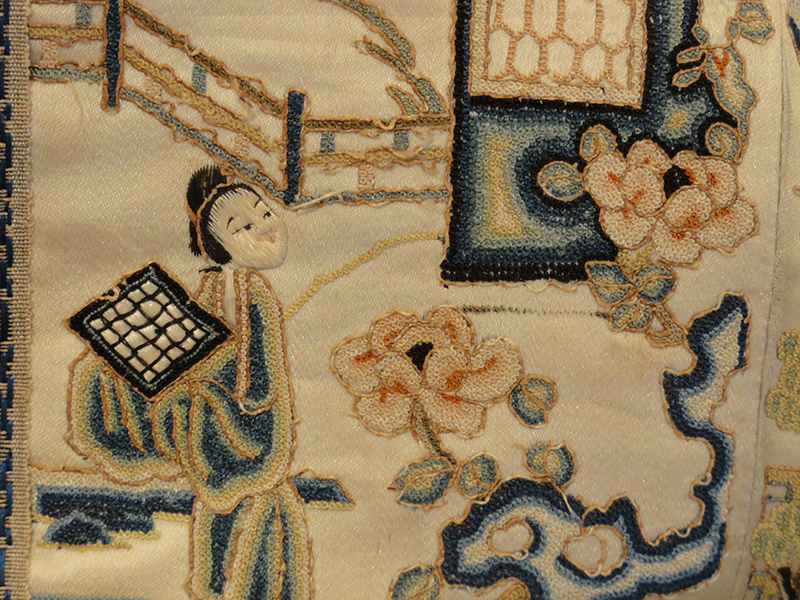 Making this stitch causes the needle worker to go blind. Young girls loose their eyesight when they make this stitch! 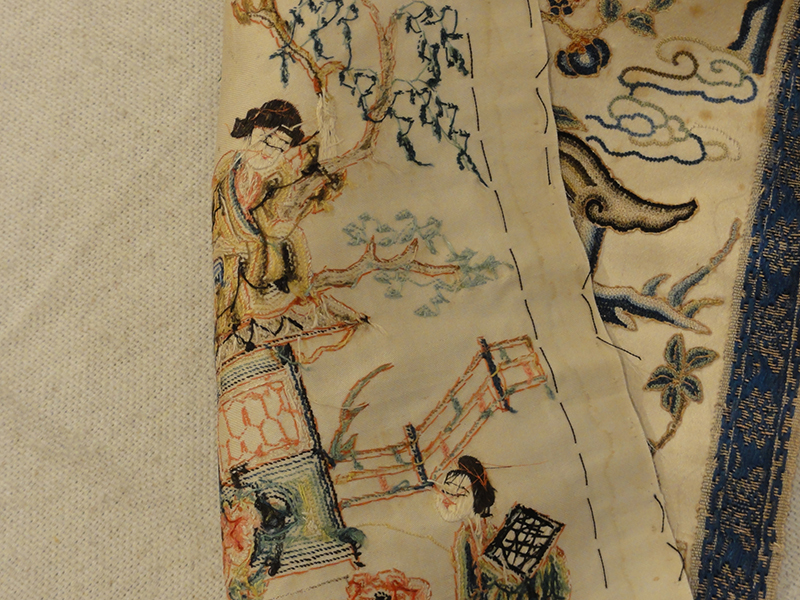 stitches used along with satin stitches and couching on highly decorative, finely-worked silk costume items. One romantic view suggests that this label appeared when such work was forbidden among young girls because its fineness contributed to eyestrain. Certain terms consistently refer to small knots made on the fabric surface by wrapping a heavy embroidery thread. Usually silk floss, around a needle and then stitching it down. This has been done with varying numbers of wrappings and degrees of complexity. 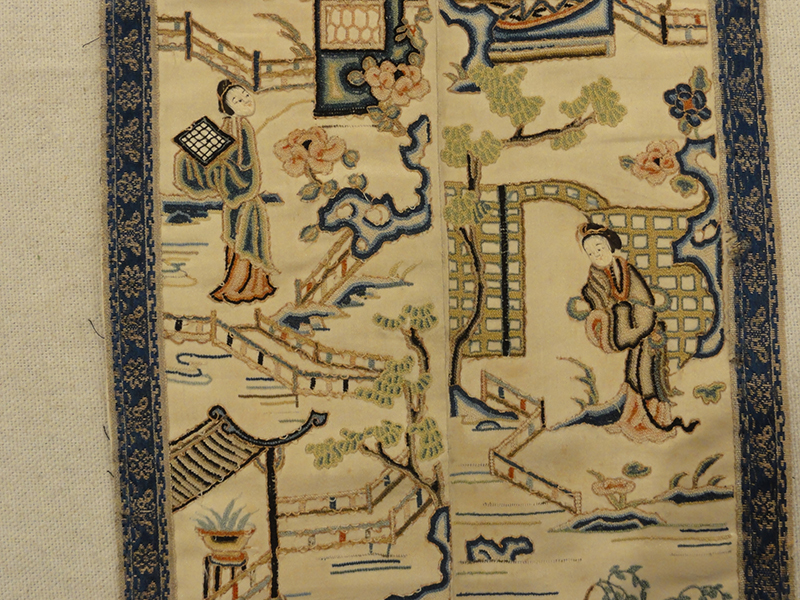 Among actual Chinese embroideries, it is unusual to find the knots so widely spaced or scattered. 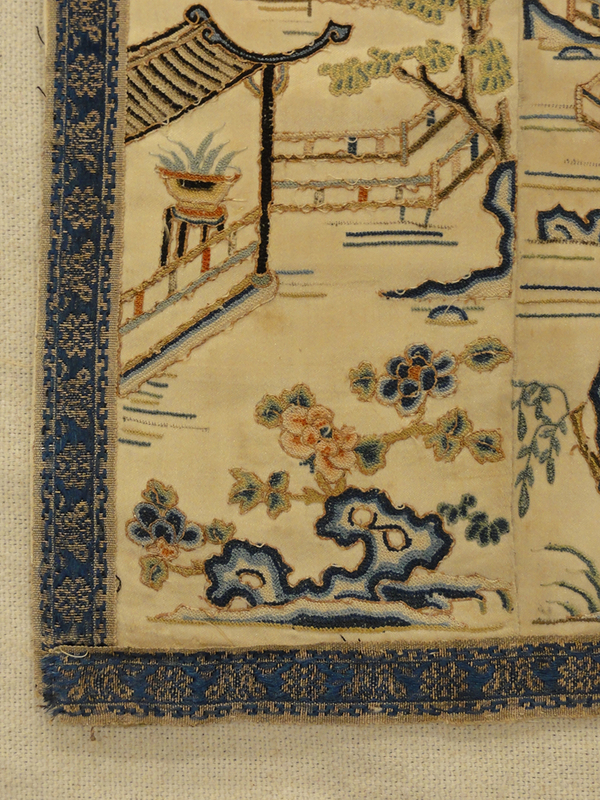 The spacing is dependent upon the length of the connecting stitch on the under side of the fabric. Each knot is indeed separate, however, this distinguishes the stitch most clearly from the Pekinese Stitch. The medieval nobles of Europe loved this stitch and they were making a version of it under the name French Knot. A French Knot is basically the same as a Pekin Knot (aka Forbidden Stitch), only the thread is wrapped at least twice around the needle. The name comes from a forbidden city. 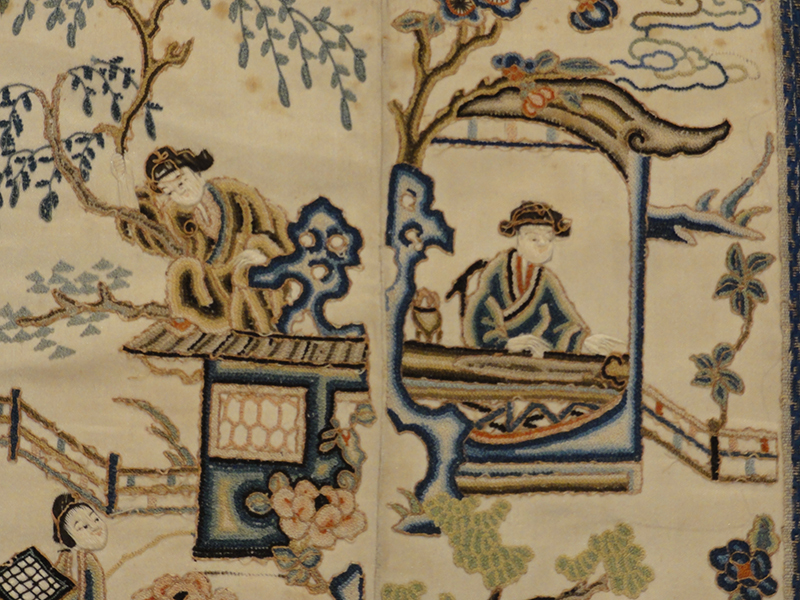 The Emperors of China lived in the Forbidden City from the 1400’s until the 1900’s and they had hordes of needle workers making costumes and tapestries and table clothes and a zillion other things. The Forbidden Stitch was for the Emperor and his court and not for the rest of us mere mortals. It wasn’t supposed to leave the Forbidden City but of course it did.